Making jewelry in today's era is not just a noble work of goldsmiths. You can also create your future in jewelry making. In the beginning, you can start your work with a little investment. Similarly, as the jewelry is not anymore the name of gold and silver, this work is never again left of the goldsmiths. Because of the developing interest in jewelry and rivalry in the market, the informed experts in this field are currently getting a chance to work. AP Singh, chief of the Bharat Ratna Science Center, said that "India has been at the bleeding edge of the world in jewelry making. Due to getting cheap and good artisan here, the world's attention is sustained by India. Well, jewelers are given the same kind of training, whether they are gold or silver, or who make both artificial or costumes. With today's changing trends and excellent prospects of a career in this field, youth are showing great interest in this regard. There is no shortage of money in this area. Jewelry making or designing requires a room with a width of at least 10 feet wide and 12 feet in length. To make bigger work, more space is needed in the same way. If you have learned to work with a wire or a pair of threads, you can do this by putting a counter on it. 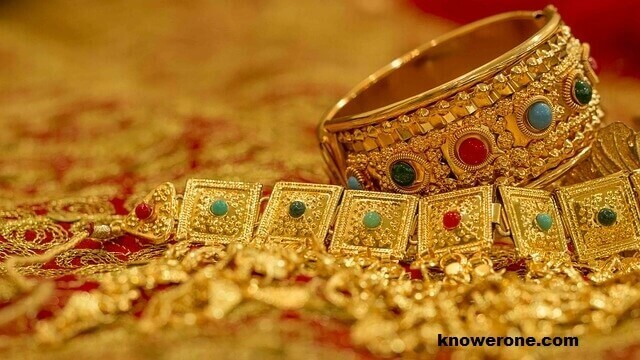 If you start this work in the markets that are being contacted around or near the Goldsmiths or Artificial Jewelry markets, then your work can go smoothly, because then you have to go down to the Goldsmiths or Artificial Jewelry merchants You will have to reduce marketing. To do this work you will need many tools and some machines, which are as follows: cutter, sand, screwdriver, gas burner, coal furnace, melting furnace, mold, casting plant, wax mold i.e. wax Mold, wire, drawing machine, computer etc. At least five lakh rupees are spent in doing this work. The more you want to work, the more the cost will be. If you work only for soldering or to work in the work of pulling wire or adding the thread, then your work can start in twenty-thirty thousand rupees. You will have to bear the expenses of the place separately. Hands ie collaboration means you will need at least how many workers to do this work, then tell you that you will need at least 15 people if you start work by spending five lakhs. If you start work by putting a counter, you will not need any other person's help or you can hire an artisan according to your work. To become a jewelry maker, it is necessary to do a diploma or certificate course. For this, your minimum academic qualification should be twelfth. Some private institutes also provide training to the tenth-pass students. Large institutions enter admission on the basis of written examination and interview. Courses of Jewelry Making Courses are from three months to two years. There are three to six months certificate courses, whereas diploma courses are conducted in one to two years. Nowadays, some institutes also offer weekly courses, which are taught to include soldering, cleaning the jewelry, pulling the wire and adding the fight. The fee for the course of jewelry making depends on the training period, course and institution. The institutions teaching this work charge from Rs. 10 thousand to two lakh rupees. The institutions which teach only to apply to stitch, they charge from one thousand to five thousand. The job of jewelry making is such a thing, in which your income keeps on growing as well. In this work, 15 percent of gold and silver is sold in alloy ie two-three metals and 5 percent in casting. Only other constructions made from jewelry from other metals are made. If you talk about net earnings, you can earn up to lac of rupees per month, starting with the cost of Rs. 5 lakhs, while there is little earning in making artificial or costume jewelry. The larger the level of your work or the increase, the income will also increase. If you do not have enough money to start the jewelry making work then you can also take a loan. You have two ways for this. To take a loan from the bank directly at a private level and to start work by taking a loan from the government or other government institution's schemes under the scheme of rural or urban self-employment scheme. In both ways, you will need to submit the necessary documents. These documents include a security report, ID proof, passport size photograph etc., according to a project report, place paper, bank or scheme. Apart from this, you also need two witnesses. The amount of the loan will depend on your project report, the size of the work, and the value of the place. This work is good for growth. The number of people doing this work is increasing in the range of 13 to 15 percent every year. Not just gold and silver, Indian ornaments made of artificial and costumes are also very popular among foreigners. All the youth of the jewelry market are moving towards this area today. In this area, anyone can take up to 10th-12th-edited youthful steps and earn good money in a very short period. If you work correctly, it will prove to be an area where you can get all the costs involved and get it back within a year. It may also be that you earn a profit in the same year.